A 17 story office tower and 14 a Story Hotel tower with 3 level podium structure which joins both buildings. The office façade incorporates a unique zig-zag articulation between floors. The envelope includes projecting fins. The glass vision glass incorporates a decorative frit patten which assists with control of glare and daylight. 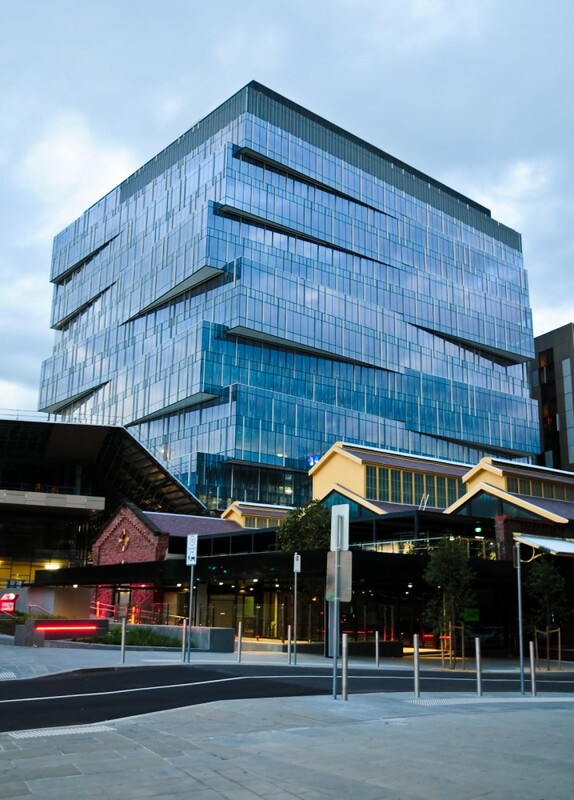 The façade incorporated high performance glazing to assist in achieving the 4 Star green star rating. The curtain wall has a unique floor to floor daylight opening with no spandrels included. The podium incorporates various glass wall patch fiting systems, shop fronts and complex glass wall display boxes for showing art work. Concept design, design development, tender documentations, contract administration and construction services. It also included inspections of factories in China, witnessing and review of test mock-ups and mad site inspections.